Andrea Polli's Particle Falls was displayed in two other cities before being moved to Pittsburgh for the holiday season. 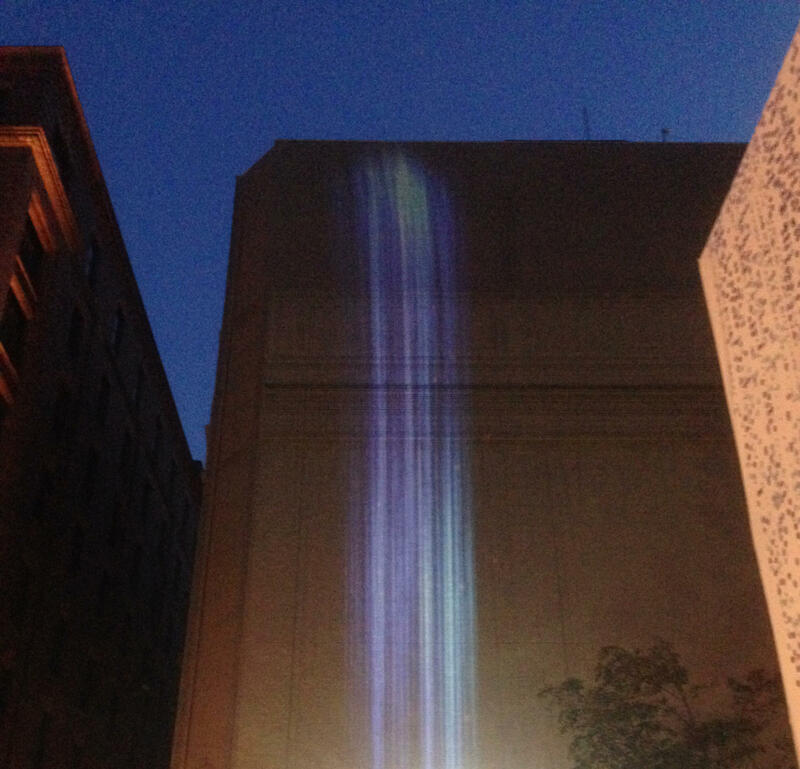 “It measures the seemingly invisible through a light scattering technique, and it beams it up in terms of intensity and magnitude on a big outside wall,” said Phil Johnson, director of the Heinz Endowments-supported Breath Project. The project springs from the mind of artist and University of New Mexico Associate Professor Andrea Polli. It uses the data produced by a nephelometer, which employs a beam of light and measures how much of it is scattered by the fine particles in the air. The work has already been displayed in other cities and will be packed up and moved out of Pittsburgh at the end of December. Johnson said the focus is on the material in the air that is smaller than 2.5 micrometers. This so-called PM2.5 is believed to be responsible for several maladies because of its ability to sink so deep into the human lung. Johnson said volunteers will be on hand while the display is lit to explain what the art is depicting. There will also be events run by sporadically throughout the month by local scientists. 90.5 WESA's Julian Routh contributed to this report. Yet another battle of the economy versus the environment is taking place in Harrisburg. 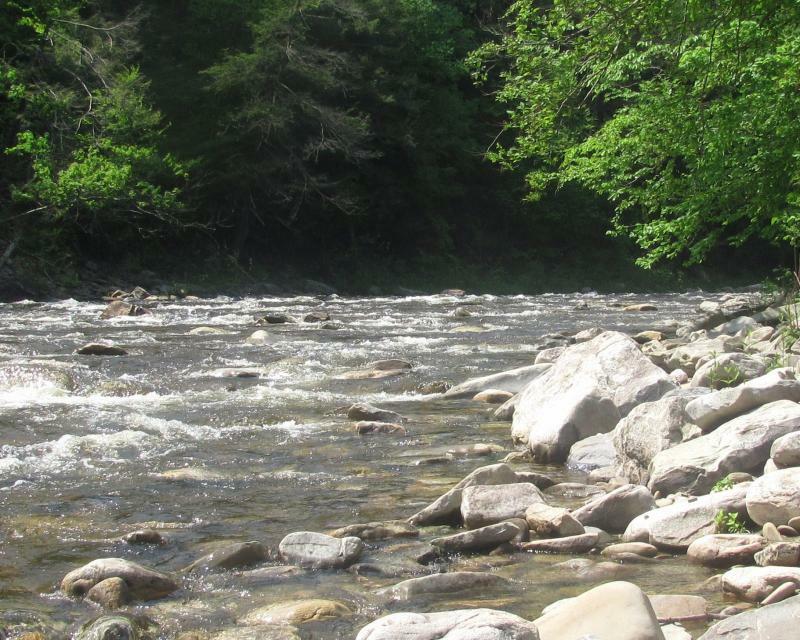 This time, conservationists say Pennsylvania’s cleanest streams are at stake. A bill (HB1565) working its way through the state legislature would eliminate a requirement for 150-foot buffer zones between new developments and specially protected watersheds. As two days of hearings on the proposed EPA rules to cut carbon emissions, protesters and supporters gathered for rallies and marches outside of the Federal Building. Before the hearings got underway Thursday, downtown streets were relatively quiet. 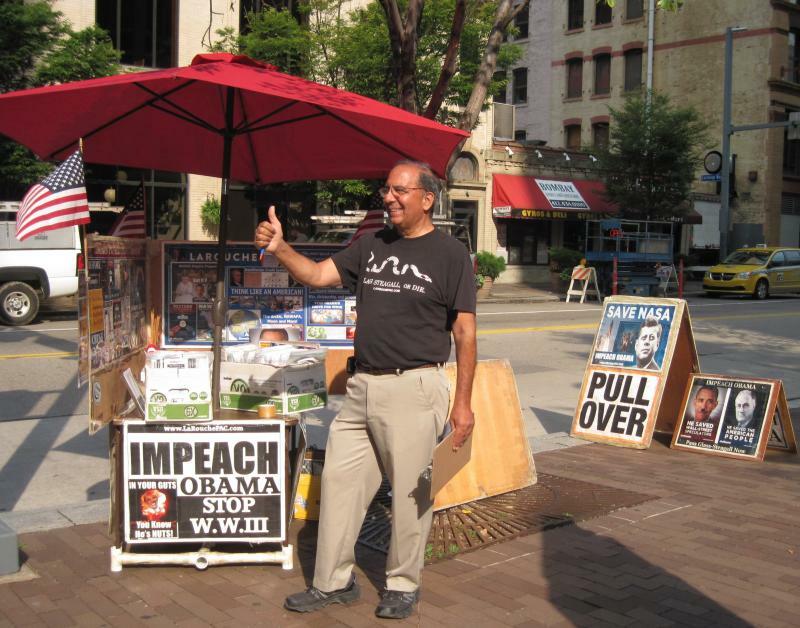 One small group had set up a stand on the corner of Liberty Avenue and Tenth Street speaking out against the proposed rules and calling for the impeachment of President Obama.